Nyssa Frank posted a couple of announcements asking Bushwick artists to come to The Living Gallery and hang there their own art on Saturday. "BYO Art" said the announcements. This community-based exhibition is a project that allows artist to display their work without the limitations that are often a part of getting one’s work into a gallery. Nyssa, the owner and founder of The Living Gallery clad in a faded tutu and war paint explained that having a gallery has always been a dream of hers. Once the Living Gallery was up and running she began to focus her attention on creating a space that was inclusive. BYO Art is indicative of the diverse community living in Bushwick. 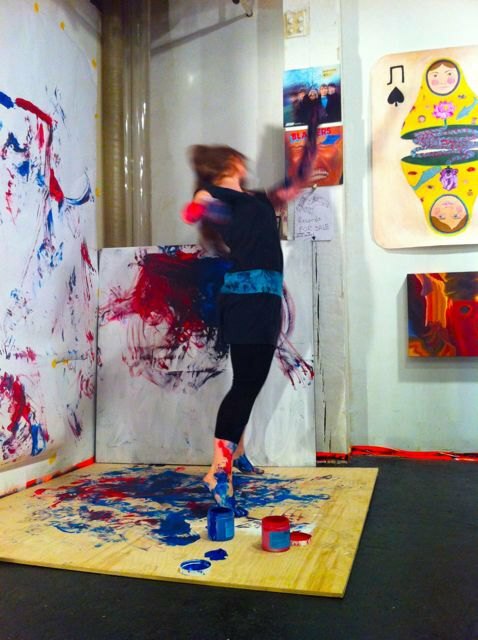 Nyssa's idea was to have a show that represents artists’ imaginations and concepts through different mediums. It actually works, running the risk of hanging art that could potentially have been less than gallery worthy didn’t factor in to the end result. The show provides over 25 local artists the ability to publicly display their sculptures, drawings, paintings or whatever you want to call it. 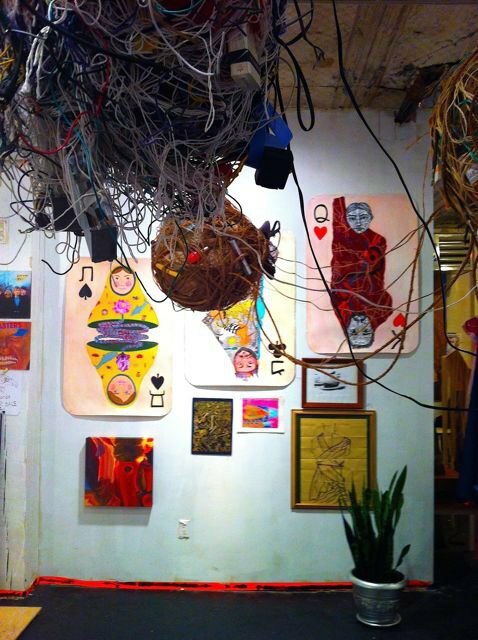 The Living Gallery in all its unconventional splendor has given the community a unique opportunity to promote the flow of ideas and unite people. Good natured Nyssa is on to something here. She loves Bushwick and its inhabitants and has willingly worked to combine the work of her fellow artists into one cohesive exhibit. Inspired by a show that she participated in at the Loom earlier this year where artist could hang their work, Nyssa extended that idea by having anyone participate and continue to contribute to the show while it is on display. Nyssa is planning on having BYO Art a mainstay for the gallery. Every few months there will be a new show with different artists and it will not be limited to studio art. If you play an instrument or can do something that exceeds the coolness of your friends then please come and share it with us at the next BYO Art exhibition. 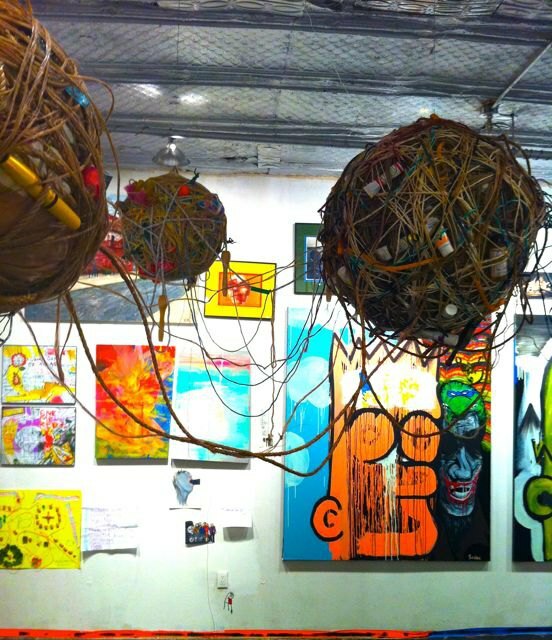 BYO Art on view at The Living Gallery (The Loom, 1087 Flushing Ave, Brooklyn, NY) daily (Mon-Fri 11am to 4pm and weekends 1-6pm) until May 25, 2012.